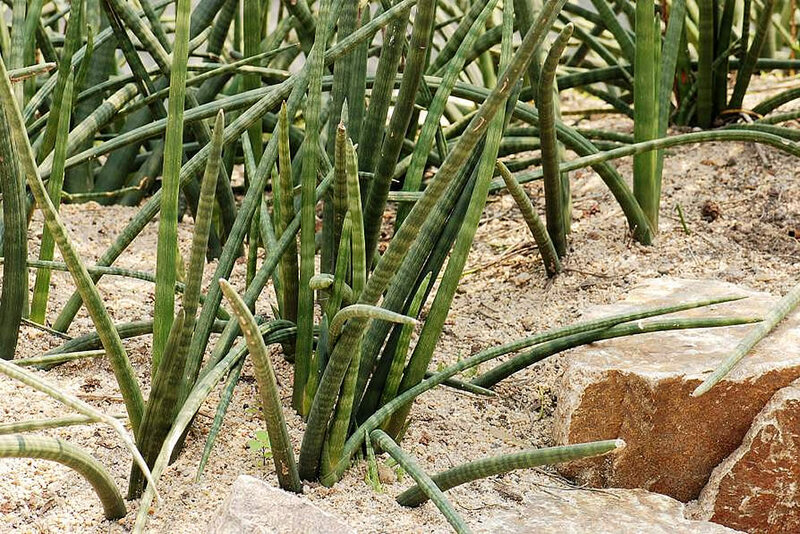 Distribution & Habitat: Sansevieria is a genus of about 70 species with great variation within the genus, species range from succulent desert plants such as Sansevieria pinguicula to thinner leafed tropical plants such as Sansevieria trifasciata. 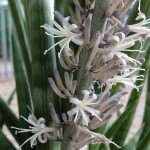 Sansevieria is native to India, Indonesia and Africa. It is an evergreen perennial plant forming dense stands, spreading by creeping rhizome, which is sometimes above ground, sometimes underground. Its leaves grow vertically from a basal rosette. 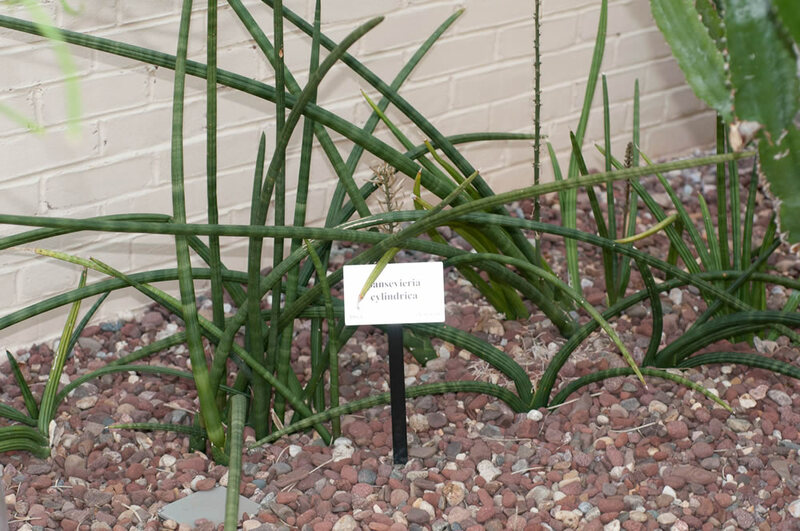 Sansevieria trifasciata has stiff sword-shaped leaves. Leaves are banded yellow on either side with a deep green, lightly banded center. Mature leaves are dark green with light gray-green cross-banding and usually range between 70–90cm (28–35 inch) long and 5–6cm (2.0–2.4 inch) wide. 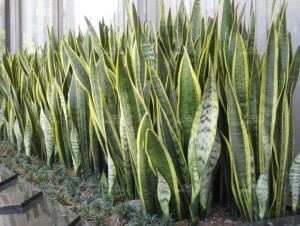 Description: Sansevieria trifasciata ‘Laurentii’ is the leading commercial variety of Sansevieria, grown for the hemp-like fiber in the leaves. They are an attractive plant for pot culture and are very durable to a wide range of condition. The growth of Sansevieria trifasciata Laurentii is relatively slow and plants last for many years. Proper Care: Sansevieria species are low maintenance plants, easy to grow and recommended as plants with big contribution in improving air quality in living and working spaces. Sansevieria trifasciata ‘Laurentii’ will survive in a wide range of conditions. They tolerate the low light conditions (60-80% shade) and are very drought tolerant. Light: Tolerant of a wide range of light – from low to high light levels (from 250 lux to 2,000 lux), but do best in medium light ranging between 400–800 lux (partial shade). 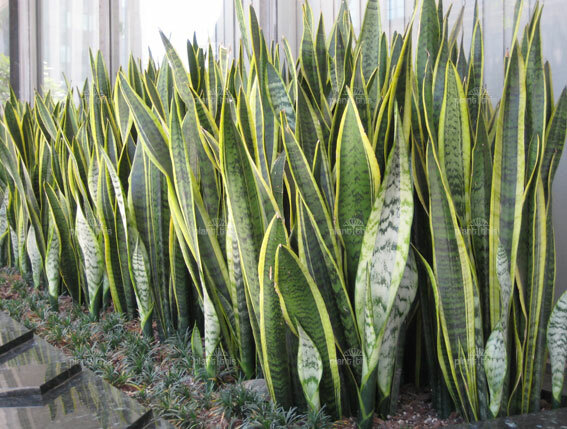 Water: Sansevieria trifasciata Laurentii is drought tolerant which makes this plant perfect for the indoors. 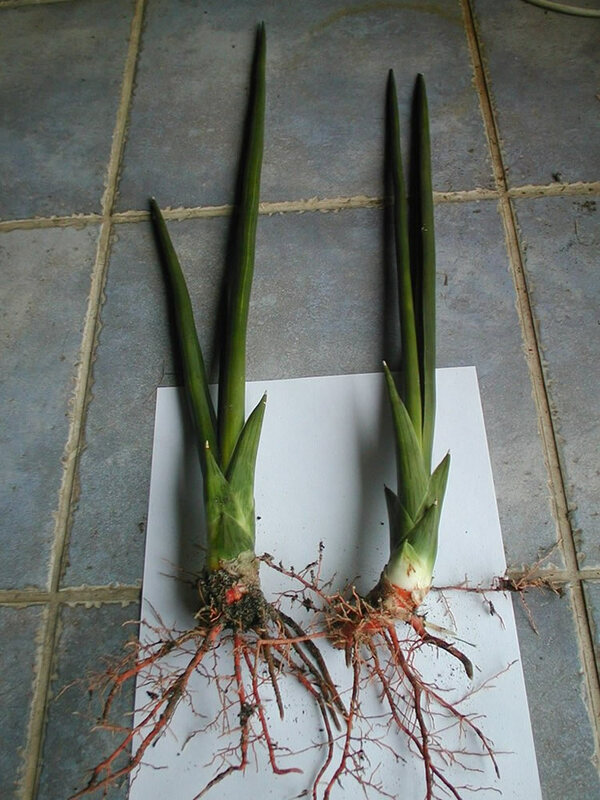 Also the Sansevieria plats are known to tolerate low humidity, water, feeding and tolerates being root bound. Let the soil dry between waterings. During winter, reduce watering to monthly, or whenever the soil is dry to the touch. Water these plants every other week during the growing season. During the winter months, the plants are given only enough water to keep the foliage from wilting. Water the soil, taking care not to get water on the leaves (overhead watering), which will cause them to rot. Sansevieria trifasciata Laurentii cannot be allowed to sit in water or they will begin to rot. The biggest danger is overwatering, especially in the winter. Use well draining soil. If the leaves turn yellow or get soft and mushy at their base, means that Sansevieria trifasciata Laurentii is overwatered. 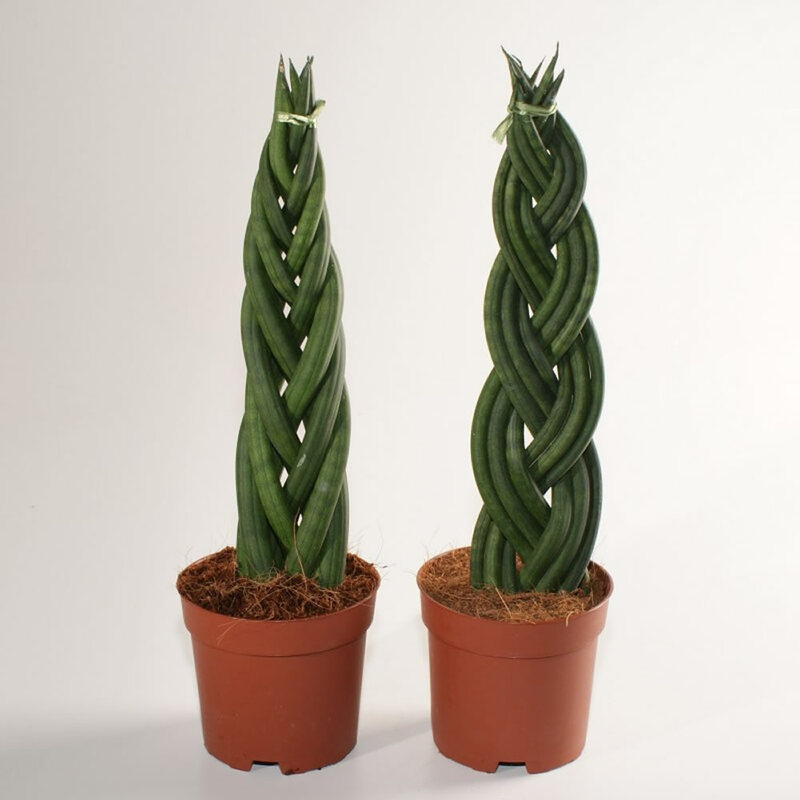 Often, any problems with growing Sansevieria trifasciata Laurentii are usually related to watering. Sansevieria trifasciata Laurentii are cold sensitive so place in a warm position. They are not tolerant of cold winds and frosts, but will tolerate fluctuating temperatures. 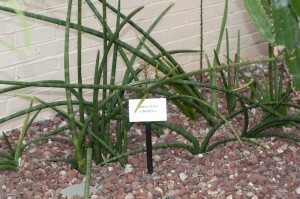 Temperatures below 10oC (50oF) harm the Sansevieria trifasciata Laurentii. Ideal temperature for Sansevieria trifasciata Laurentii is 21 to 32oC (70-90oF). Soil: A loose, well-drained potting mix. They will do well in sandier soils. Potting and Repotting: Repot in the spring only when plants get crowded and need dividing. 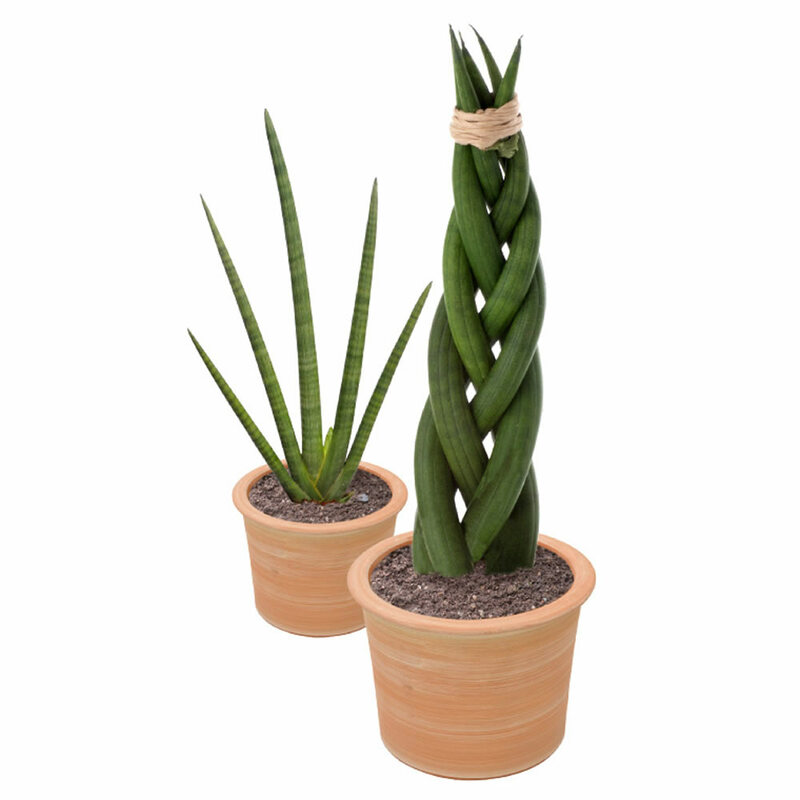 A well-grown Sansevieria trifasciata Laurentii can split a clay pot with its mass of underground shoots. When repot it, keep the rosette of the leaves at soil level. Use a wide, heavy container to prevent toppling. This tall plant can get top-heavy. 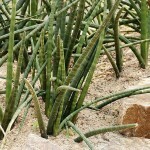 Cactus potting mix is ideal for Sansevieria trifasciata Laurentii. Propagation: Sansevierias are easily propagated by division or they may be raised from leaf-cuttings about 5cm (2 inch) long. 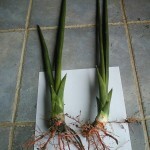 These cuttings form roots in sandy soil after about one month, after which a long stolon-like bud is formed, which produces the new plant at some distance from the cutting. Sansevieria trifasciata Laurentii is easy to divide because it has shallow roots. Simply turn the pot on its side and pull out the entire plant. Use a sharp knife to cut through the thick roots and pot each clump separately. Problems: No serious insect or disease problems. Overwatering often causes root rot. Watch for mealybugs and spider mites. 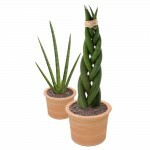 Uses: Sansevieria trifasciata Laurentii can be used as both Floor Standing Plants or Table Top Plants. Sansevieria trifasciata Laurentii can be used with equal effectiveness as an accent potted plant or in a grouping in planters or garden beds. Seen in so many places including hospitals, hotels, shopping malls, banks and homes, Sansevieria trifasciata Laurentii is a popular unique ornamental plant that will not only transform the home, office, business or garden but will also add color, drama and texture to any environment. Sansevieria species are believed to act as good air purifiers by removing toxins (such as formaldehyde, xylene and toluene) from the air, thereby gaining a reputation as a good cure for sick building syndrome. 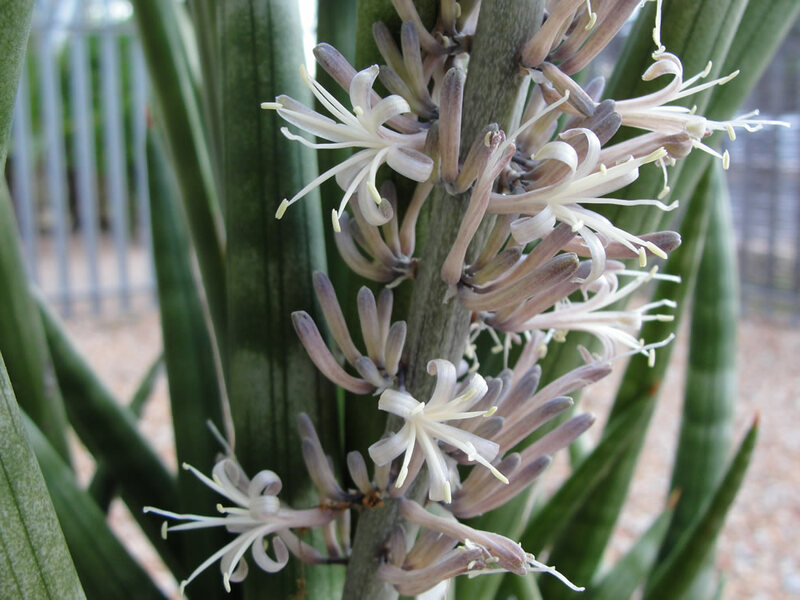 Sansevieria use the crassulacean acid metabolism process, which absorbs carbon dioxide and releases oxygen at night. This purportedly makes them suitable bedroom plants. However, since the leaves are potentially poisonous if ingested, Sansevieria is not usually recommended for children’s bedrooms. Found by NASA to absorb toxins, such as nitrogen oxides and formaldahyde. Sansevieria is able to absorb 107 types of toxins, including air pollution, cigarette smoke (nicotine), so it would make a great refresher. 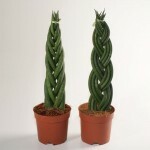 According to feng shui, because the leaves of Sansevieria grow upwards, the plants can be used for feng shui purposes.